Could you be BBC’s Young Dancer 2015? Here’s news of an exciting, brand new opportunity for young dancers. The BBC is running a Young Dancer competition in 2015. To find out more visit the BBC Young Dancer website. 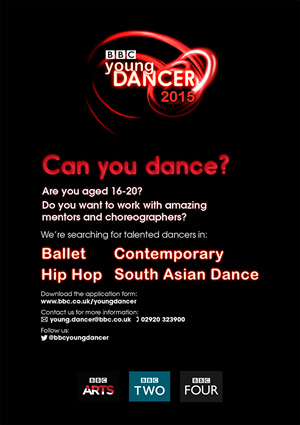 Entrants should be aged between 16 and 20 and the dance styles are ballet, contemporary, hip hop, and South Asian. Video entries close on 1st November this year!